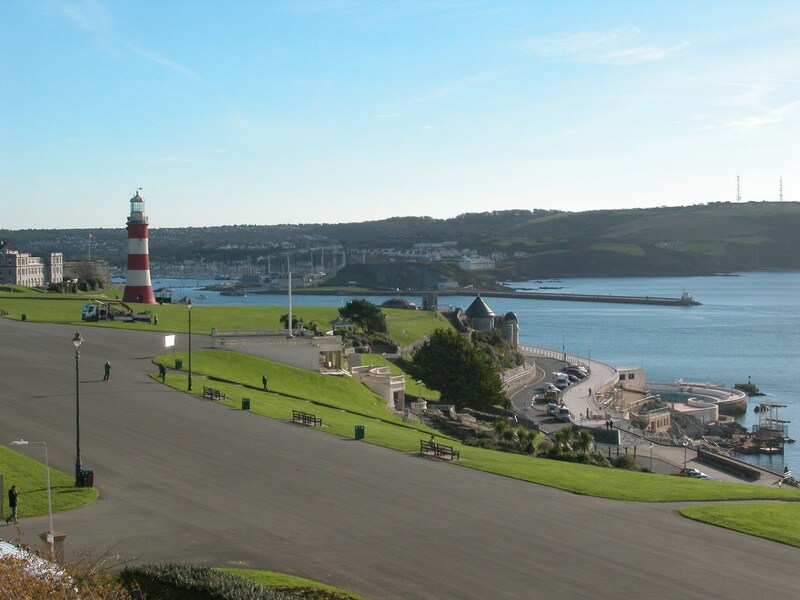 There are not many cities that can boast such a colourful history as Plymouth. From Sir Francis Drake playing bowls before defeating the Spanish Armada to Scott of the Antarctic, the pages of the city’s history books are filled with fascinating characters and events. A short stroll around the city will bring you face to face with reminders of the city’s absorbing history. 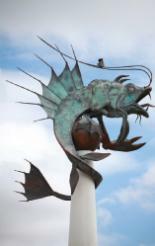 Part of the city’s appeal is the opportunity of learning and understanding more about the city’s maritime and cultural history which has done so much to shape those that make the city their home. 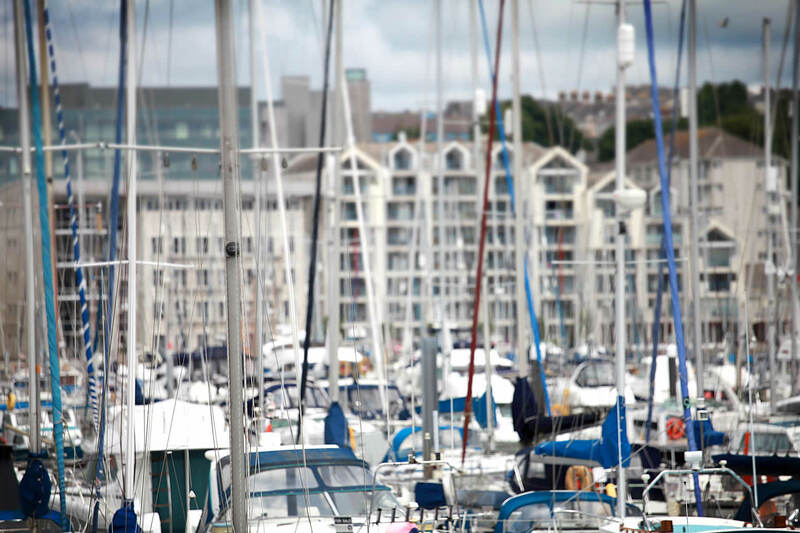 Millfields is within easy reach of all the best that the city has to offer: the Theatre Royal, Plymouth Hoe, the Barbican, the excellent boating and sports facilities and a wide variety of pubs and restaurants, where one can enjoy the fresh produce of which the city is justifiably proud. As a major regional centre for Devon and East Cornwall, Plymouth City Centre has a wide range of amenities including the well known Drake Circus shopping mall with its excellent collection of national retailers and quality independent outlets and boutiques, shops, restaurants and bars which, together with theatres, cinemas and museums serve the needs of residents and tourists. The Barbican is a special area of Plymouth. 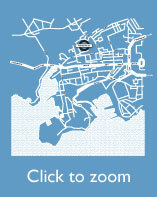 It is it is the medieval heart of the city and is home to the world famous Plymouth Gin Distillery. The area is filled with art galleries and restaurants. It is a Mecca for local artists. Interestingly, the founder of the Royal Academy, Joshua Reynolds, was born in Plymouth. 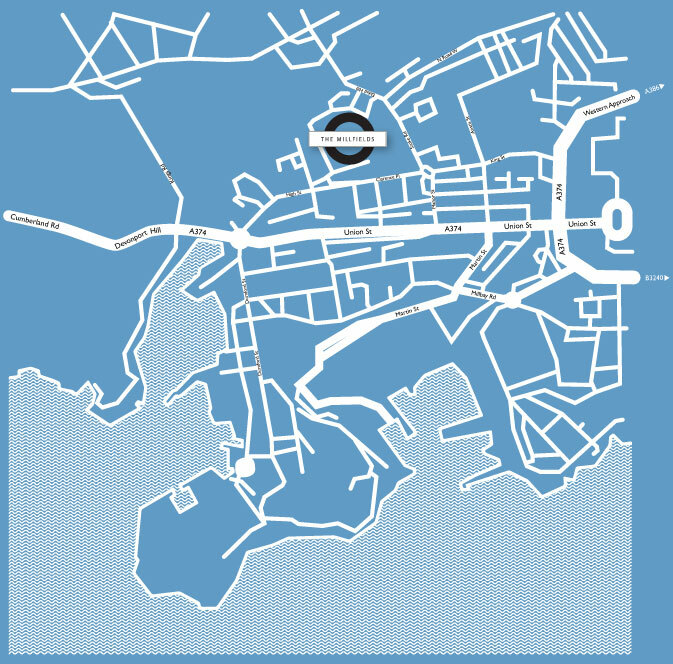 Plymouth’s rich cultural life is supported by the expanding University of Plymouth which occupies the northern city centre area. It adds vibrancy and life to many of the city’s institutions as well as providing a myriad of courses and further educational opportunities. Today the host of sailing boats and other watercraft further enhance the atmosphere of the city. Stunning yachts mingle with picturesque fishing boats in one of the great natural harbours of the world set betwixt Devon and Cornwall, all adding to the character of this wonderful location.